The background chapters in this volume discuss the various carbon reservoirs and the processes relevant to controlling atmospheric CO2 and related trace gas concentrations. To appreciate the Earth's carbon cycle and its evolution, it is necessary to exam ine the connections among the various carbon pools. This analysis must be done within a framework that provides an integrated perspective across both disciplinary and geographic boundaries, with particular emphasis on the carbon cycle as an integral part of the human-environment system. The world energy system delivered approximately 380 exajoules (EJ [1018 J]) of primary energy in 2002 (BP 2003). 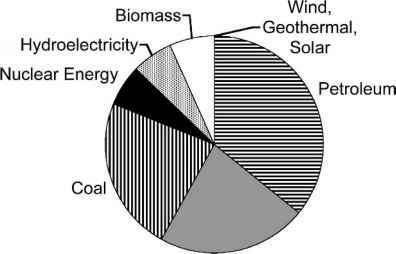 Of this, 81 percent was derived from fossil fuels, with the remainder derived from nuclear, hydroelectric, biomass, wind, solar, and geothermal energy sources (Figure 2.1). The fossil-fuel component released 5.2 PgC in 1980 and 6.3 PgC in 2002 (CDIAC 2003). Cement production is the other major industrial source of carbon, and its release increased to 0.22 PgC in 1999. The combined release of 5.9 PgC shown in Colorplate 1a represents an average emission for the 1980s and 1990s. Underground coal fires, which are poorly known and only partly industrial, may be an additional as yet unaccounted for source of carbon to the atmosphere as large as cement manufacturing (Zhang et al. 1998). In terms of energy released, the current mix of fossil fuels is approximately 44 percent oil, 28 percent coal, and 27 percent natural gas (Figure 2.1). At current rates of consumption, conventional reserves of coal, oil, and gas (those that can be economically produced with current technology; see Colorplate 1c) are sufficient to last 216, 40, and 62 years, respectively (BP 2003). If estimates of undiscovered oil and gas fields are included with the conventional reserves, oil and gas lifetimes increase to 101 and 142 years, respectively (Ahlbrandt et al. 2000). Conventional reserves represent only a fraction of the total fossil carbon in the Earth's crust. A much larger quantity of fossil reserves is in tar and heavy oil. These reserves cannot be economically produced with existing technology but are likely to become accessible in the future. The best estimates for total fossil resources that might ultimately be recovered are in the range of6,000 Pg (Nakicenovic, Chapter 11, this volume), or about five times the conventional reserves. In addition, vast quantities of methane, exceeding all known fossil-fuel reserves, exist in the form of methane hydrates under continental shelf sediments around the world, in the Arctic permafrost, and in various marginal seas. 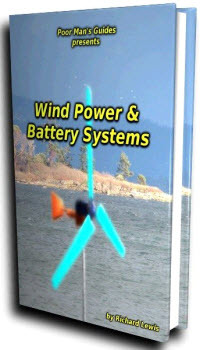 With current technology, however, these reserves do not appear viable as a future energy source. Although not included in Table 2.1 or Colorplate 1, combustion of fossil fuels also releases a number of non-CO2 carbon gases. In particular, carbon monoxide (CO) can be used as an effective tracer of fossil-fuel combustion in atmospheric gas measurements. The relative impact of these gases is discussed in a later section. Figure 2.1. The distribution of sources for the world energy system in 2000. The values for all sources except biomass are from BP (2003). 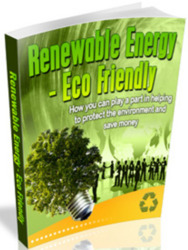 The value for biomass is from the U.S. Department of Energy (http://www.eere.energy.gov). is about 57 PgC per year (y-1) (Colorplate 1). Of this, about 4 PgC y-1 is in crops. Humans co-opt a much larger fraction of terrestrial NPP, probably about 40 percent, where co-opting is defined as consuming, removing some products from, or altering natural states of the terrestrial biosphere through ecosystem changes (Vitousek et al. 1986). Total NPP is approximately 40 percent of gross primary production (GPP), with the remainder returned to the atmosphere through plant respiration. For many purposes, NPP is the most useful summary of terrestrial plant activity. NPP can be assessed with inventories and harvest techniques, and it represents the organic matter passed to other trophic levels (Lindemann 1942). For other purposes, including isotope studies and scaling from eddy flux, GPP is a more useful index. Most of the annual flux in NPP is returned to the atmosphere through the respiration of heterotrophs, including microorganisms, saprophytes, and animals. A smaller fraction, 5 — 10 percent, is released to the atmosphere through combustion (Colorplate 1). Approximately 5 percent of NPP leaves land ecosystems in organic form, as CH4 or volatile organic carbon (Prinn, Chapter 9, this volume). In recent decades the land was close to carbon neutral (in the 1980s) or was a net sink (in the 1990s) for atmospheric CO2 (Table 2.1). This net flux represents a balance between substantial emissions from biomass clearing or fires and enhanced uptake as a physiological response to rising CO2 or the regrowth of previously cleared areas. Land plants contain slightly less carbon than the atmosphere; soils contain substan tially more (Colorplate 1). The estimates for soil carbon in Colorplate 1 are higher than shown in previous budgets for two reasons. First, previous budgets estimated soil carbon to a depth of 1 meter (m). Jobaggy and Jackson (2000) extended these to 3 m, adding about 55 percent to the known stock. Second, previous budgets ignored carbon in wetland and permanently frozen soils. The exact magnitudes of these stocks are very uncertain. The potential for substantial carbon losses from these stocks in coming decades, however, is a strong incentive for careful quantification and further analysis. Tropical forests contain the largest carbon pool of terrestrial biota (see Table 2.2) and also the largest NPP (Saugier et al. 2001). Averaged over several years, tropical forests traditionally have been believed to be close to carbon neutral, with uptake from NPP balanced by releases from decomposition and fire. The difference between NPP and the sum of all of the processes that release carbon from the land is net ecosystem production (NEP). Recent studies based on in situ flux measurements and forest inventory techniques indicate net carbon uptake or positive NEP of 100—700 gC per square meter (m-2) y-1, corresponding to ~1 PgC y-1 across the tropical evergreen forest biome. The duration and spatial scale of these studies is not yet extensive enough for solid extrapolation. Still, the estimated uptake is in the proper range to compensate for emissions from tropical land use (Achard et al. 2002; DeFries et al. 2002; Foley and Ramankutty, Chapter 14, this volume). The tropical NEP estimates, however, are also in the range of recent estimates of CO2 releases from tropical rivers, caused mainly by the decomposition of material transported from the land (Richey, Chapter 17, this volume). A full carbon accounting has yet to be accomplished, but these individual flux estimates need to be reconciled with top-down estimates from atmospheric inverse modeling studies, which show that the overall net carbon balance of the tropical land areas (30°S—30°N) must be close to zero, albeit with large uncertainty ranges (Gurney et al. 2002; Heimann et al., Chapter 8, this volume). Temperate forests cover about 60 percent of the area of tropical forests and contain the second largest pool of plant carbon. Together, tropical and boreal forests account for approximately 75 percent of the world's plant carbon and for 40 percent of the non-wetland, nonfrozen soil carbon (Table 2.2). Carbon emissions from land use and land management have increased dramatically over the past two centuries because of the expansion of cropland and pasture, infrastructure extension, and other effects driven by market growth, pro-deforestation policies, and demographic pressures (Geist and Lambin 2001). Before about 1950, carbon emissions from land use change were mainly from temperate regions. In recent decades, however, carbon releases from land use change have been concentrated in the tropics (Achard et al. 2002; DeFries et al. 2002; Houghton 2003). Cumulative emissions from land use, estimated at approximately 185 PgC, entail substantial fluxes from every continent except Antarctica (DeFries et al. 1999). Before about 1970, cumulative emissions from land use and land management were larger than cumulative emissions from fossil-fuel combustion. Note: Plant carbon is from Saugier et al. (2001). NPP is from Saugier et al. (2001), scaled to give the terrestrial total as the satellite study of Behrenfeld et al. (2001). Soil carbon is from Jobbagy and Jackson (2000), to a depth of 3 m. Wetland soil carbon is from (Gorham 1991). Carbon in frozen (nonwetland) soils is from (Zimov et al. 1997). As with fossil-fuel combustion, carbon is lost from terrestrial vegetation in a variety of non-CÜ2 gases, including biogenic volatile organic compounds (VOCs). Globally VOC emissions are 0.2-1.4 PgC y-1 (Prinn, Chapter 9, this volume). For grassland and cultivated land, large emissions of other greenhouse gases such as N2O and CH4 can also occur. These emissions are strongly affected by land management and land use change (Smith, Chapter 28, and Robertson, Chapter 29, both this volume). The oceans contain about fifty times more CO2 than the atmosphere and ten times more than the latest estimates of the plant and soil carbon stores (Colorplate 1). CO2 moves between the atmosphere and the ocean by molecular diffusion, when there is a difference between the CO2 gas pressure (pCO2) in the oceans and the atmosphere. For example, when the atmospheric pCO2 is higher than the surface ocean pCO2, CO2 diffuses across the air-sea boundary into the seawater. Based on about 940,000 measurements of surface water pCO2 obtained since the 1960s, the climatological, monthly distribution of pCO2 in the global surface waters has been calculated with a spatial resolution of 4° X 5° (Takahashi et al. 2002). Although the published value for the net air-sea flux indicates a net ocean uptake of 2.1 PgC for the reference year 1995, this estimate was based on inappropriate wind speed estimates (T. Takahashi, personal communication). The winds used for these estimates correspond to approximately 40 m above mean sea level, but the gas exchange coefficient formulas are typically related to winds at 10 m above sea level. The near-surface gradient in wind speed is such that the 10 m winds are about 1 m per second (s-1) slower than the 40 m winds. Thus, Taka-hashi's corrected net global ocean uptake is 1.5 (-19 percent to +22 percent) PgC for the reference year 1995 (Colorplate 2). The asymmetrical error estimates reflect the paucity of data on the spatial and temporal variability in sea surface pCO2 concentrations, plus limitations in the non-linear wind speed parameterizations for the gas exchange coefficient. Ocean models and observations suggest that the interannual variability in the global ocean CO2 flux is around ±0.5 PgC y-1 (Greenblatt and Sarmiento, Chapter 13, this volume). The gross exchanges of CO2 across the air-sea interface, as shown in Colorplate 1, are much larger than the net flux. The global budget presented in this figure shows the preindustrial oceans as a net source of ~0.6 PgC y-1 to the atmosphere, partially offsetting the addition of carbon to the oceans from rivers. The total net modern flux ofTaka-hashi et al. (2002), after the wind speed correction discussed previously (ocean uptake = 1.5 PgC y-1), is consistent with the modern balance implied by Colorplate 1 (21.9 -20 + 70 - 70.6 = 1.3 PgC y-1), despite the fact that the coastal zones are not well represented in the Takahashi et al. analysis. The coastal zone fluxes represent the largest unknown in the CO2 balance of the oceans and are a topic of active research (Chen, Chapter 18, this volume). During the past decade, significant advances have been made in separating the anthropogenic component from the large background of ocean dissolved inorganic carbon (DIC). Data-based approaches estimate a global inventory of anthropogenic CO2 in the oceans to be ~112 ±17 PgC for a nominal year, 1994 (Colorplate 3) (Lee et al. 2003). Inventories are generally high in the mid-latitudes and lowest in the high-latitude Southern Ocean and near the Equator. The high-inventory regions are convergence zones, where waters with relatively high anthropogenic concentrations are moving into the ocean's interior. Roughly 25 percent of the total inventory of anthropogenic carbon is in the North Atlantic, one of the main regions of deepwater formation. The low-inventory waters are generally regions of upwelling, where waters with low anthropogenic concentrations are brought near the surface. The high-latitude Southern Ocean generally has very low anthropogenic CO2 inventories and very shallow penetration. The Southern Hemisphere mode and intermediate waters at around 40-50°S, on the other hand, contain some of the largest inventories of anthropogenic CO2. More than 56 percent of the total anthropogenic CO2 inventory is stored in the Southern Hemisphere. Over the long term (millennial timescales), the ocean has the potential to take up approximately 85 percent of the anthropogenic CO2 that is released to the atmosphere. The reason for the long time constant is the relatively slow ventilation of the deep ocean. Most of the deep and intermediate waters have yet to be exposed to anthropogenic CO2. As long as atmospheric CO2 concentrations continue to rise, the oceans will continue to take up CO2.This reaction, however, is reversible. If atmospheric CO2 were to decrease in the future, the recently ventilated waters would start releasing part of the accumulated anthropogenic CO2 back to the atmosphere, until a new equilibrium is reached.